The race to represent Humboldt County's sprawling Fifth Supervisorial District is in full swing, with accusations and hard feelings aplenty. 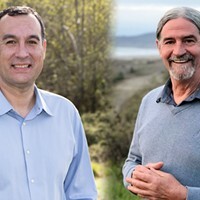 The campaign pits two-term incumbent and California Costal Commissioner Ryan Sundberg against longtime Humboldt County resident and Mattole Salmon Group Executive Director Steve Madrone. 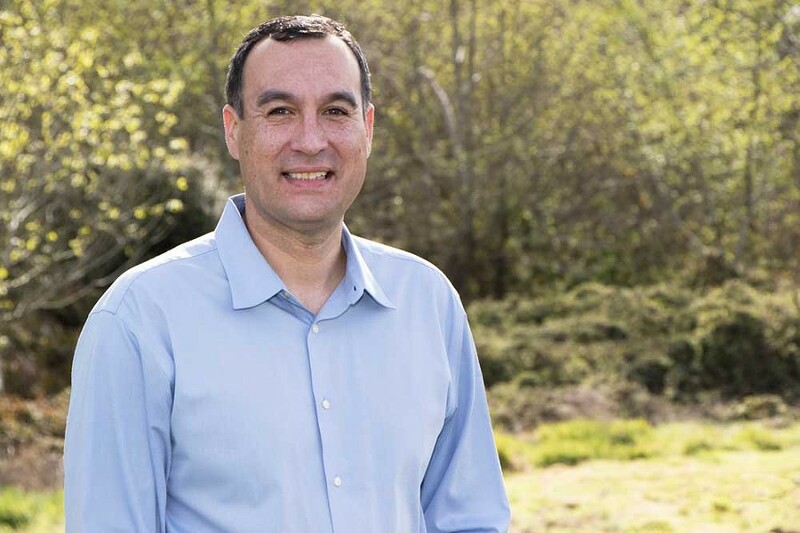 On the campaign trail, Sundberg has largely touted his experience and track record as Madrone has countered that it's time for fresh ideas, a more balanced board and a new approach. With a host of serious issues staring down the Fifth District — which includes McKinleyville north to the county line, and the eastern stretches of the county, including Hoopa, Willow Creek and Weitchpec — the Journal asked the candidates to answer a few questions via email to tout their plans and to fill out a questionnaire giving voters a sense of where they come from, who they are and how they see the world. Check out what they had to say below and make sure to vote June 5. North Coast Journal: What are the two biggest challenges facing the Fifth District and what are your plans to address them? Steve Madrone: Economic development affects all issues but has been inadequately tended. It is fundamental to affordable housing, recreational and job opportunities for youth and the underemployed, cleaning up our beaches, funding a self-sustaining community forest, contributing to social programs, enhancing tourism, diversifying transportation, reducing crime and increasing safety. This is why I have an economic development plan for the Fifth District. This plan includes redesigning the existing Vista Point with access off Airport Road for travelers heading north as well as south. We can use an undeveloped county parcel south of Vista Point to create a "Vista Point Park." A visitor center would be built using grant funds, encouraging more visitors to pull off the highway for this priceless, sweeping ocean view. Increased visitation could lead to a build out of the Airport Business Park east of Vista Point, as well as to more visitor services and lodging in McKinleyville. Together with building the Town Center, this would lead to more jobs and increased sales. The cannabis economy must not dominate our communities or be concentrated among a few large producers. We need to protect the small farmers, reward good land stewardship and support a broad-based, small farmer, high quality industry. Ryan Sundberg: Public safety and cannabis are two of the largest issues facing the Fifth District. Four years ago, public safety was the largest issue and I have worked hard to address this. Working together we passed Measure Z and now have staffed the sheriff's substation in McKinleyville and opened one in Willow Creek. Prior to this new funding, all of the Fifth District was served by only two deputies who responded out of Eureka. We now have 12 in McKinleyville and seven in Willow Creek, along with resident deputies in rural communities. Seventy percent of Humboldt County voted in favor of Proposition 64. We had a tough choice: Do we set our own rules for cannabis or do we let the state set them for us? I supported establishing our own rules and we began the task of developing an ordinance to address the land use rules. We already had thousands of illegal cultivation sites throughout the county causing significant environmental damage. My goal is to get rid of the illegal grows and clean up the sites and require that all new operations meet strict environmental standards and the requirements of all state agencies. I am working to see that communities have a say in projects near them. Madrone: The board of supervisors is unbalanced, too narrowly focused on the agenda of the well-connected few. Therefore, it fails to consider a wider scope of possibilities when making decisions, wasting time, money and energy. Examples include the Mercer-Fraser cannabis refineries, the cannabis ordinances that concentrate rather than distribute wealth, the public defender fiasco and appointees to commissions that facilitate sweetheart deals. Forward thinking and planning, involving all stakeholders, are essential to efficiently run our county. We must be creative in dealing with homelessness and drug addiction recovery programs. We must collaborate with Neighborhood Watch and pay attention to community needs. We must vigorously support single payer, universal healthcare legislation in Sacramento, because universal healthcare would reduce the county's employee medical costs, increase access to primary care providers and improve mental health and addiction services, resulting in reduced crime and enhanced safety for all. Indoor commercial cannabis growing must be curtailed in houses and apartments, where it reduces our stock of affordable housing. Nuisance generator grows that light-pollute night skies should be disallowed. Overall, the board of supervisors and planning commission need to do a better job of listening to the public and being respectful of dissenting opinions. Sundberg: I believe the most significant challenge is to get input from the hardworking families that do not attend meetings and speak at hearings. When there are controversial issues, we get significant input from those directly involved, yet the people who go about their everyday activities are not aware of things that could affect them. I am increasing my use of social media to outreach with both my personal pages and community groups like the McKinleyville Community Watch. This is not the answer but it is a start. My goal is to continue to work in each of our local communities to hear the voice of the people who do not show up at public hearings. I think our second challenge is to act quickly to address problems. Most of the money we have to spend is limited in its uses and has to be spent in very restricted ways, and many of our needs are outside the limits on those funds. By supporting and passing measures like Measure Z, we have been able to fund public safety increases to offset the funds that the state took away. I believe the answer in the future is working directly with our local residents to find solutions to local needs. NCJ: Why are you the right person to represent the Fifth District for the next four years? 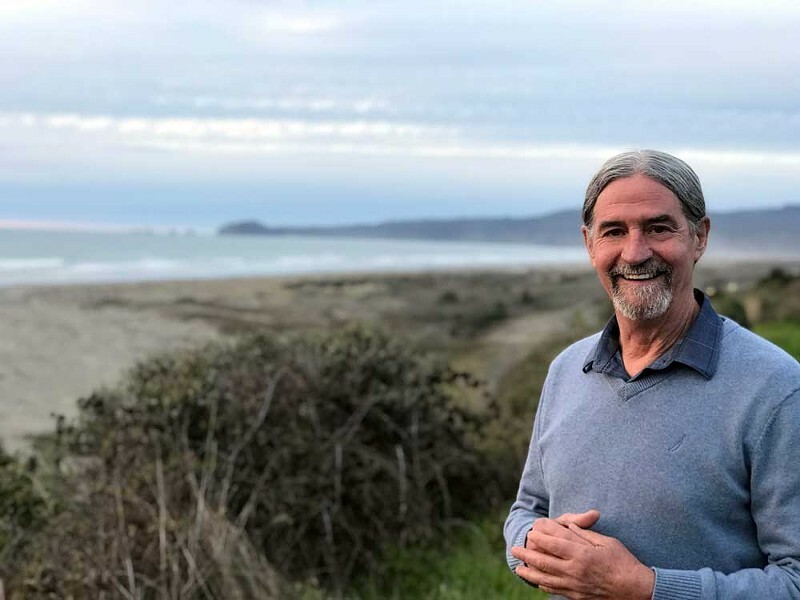 Madrone: I have skills honed over 45 years in sustainable, appropriate development that marries economic growth with ecological restoration, bringing stakeholders together to create a livable community, including clean water, popular trails and healthy forests and salmon. I will appoint people who represent the diversity and interests of all of the community to the McMAC and planning commission. I will maintain regular office hours in the Trinity Valley to expedite appropriate light industrial, forestry and agricultural development. I will open discussion of Trinidad's traffic and development needs to the entire community, rather than a narrow constituency. The Humboldt County Democratic Party has endorsed my candidacy because it believes I have the background and policies to best serve the Fifth District. The Yurok, Hoopa Valley and Karuk tribes have endorsed me, as have many labor unions acting on behalf of working families. I will encourage vibrant light industrial zones to attract and retain innovative entrepreneurs. I will support educational and recreational youth programs, as well as apprenticeships in the trades. Creative possibilities for our district include opening a tiny housing fabrication operation in the eastern valley, and establishing a McKinleyville Town Center offering walkable, work-live opportunities, and senior and affordable housing. Sundberg: I was raised in McKinleyville and my family has been here for generations. My wife, daughter and I live in McKinleyville. One of the most important things to learn to be effective as a supervisor is how to build coalitions, partnerships and working relationships based on mutual respect. I believe that those relationships give me the ability to help solve problems for the Fifth District. Whether it be road repairs or statewide issues, I have developed the ability to call on people who are able to directly solve a problem. The other thing I know is that I will promise what I can deliver and in election season candidates make many promises that sound good but have no reality in being deliverable. I have a very good working relationship based on mutual respect with my fellow board members and working cooperatively has been very successful at accomplishing goals. An individual supervisor has very little power because you need to have the support of your fellow supervisors, which I am proud to say I do. My position as the North Coast California Coastal Commissioner gives me the ability to address coastal issues that affect our entire region. Because of my good relationships, I was able to save more than 70 jobs in our local oyster industry, which was nearly shut down. I believe my hard work saved Coastal Seafoods' oyster operations in Humboldt Bay. 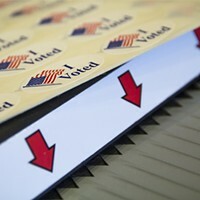 For more information on the candidates, visit their webpages at www.votemadrone.com and www.sundberg4supervisor.com. And watch the candidates spar in a forum at www.pbs.org or listen at www.khsu.org. Where did you grow up? In Iowa until 4 and Orange County until 20, and Humboldt County since then. Can you please provide a brief education history? Bachelor of science in natural resources from Humboldt State University in 1975; master in science in watershed management from HSU in 2011. Can you please provide a brief work history? Part owner of NRG Inc. doing watershed restoration 1977 to 1980; founding member and surveyor with the Mattole watershed groups 1979 to 1983; director, manager and coordinator of Natural Resources Services of Redwood Community Action Agency 1983 to 2006 building the Hammond Trail and restoring watersheds; owner Madrone Enterprises doing watershed consulting and contracting 2006 to 2017; executive director for Mattole Salmon Group 2011 to 2018; forestry and watershed lecturer at HSU 2011 to 2018. What is your current occupation? 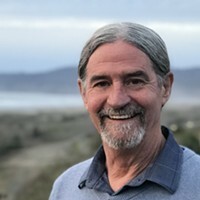 Executive director for the Mattole Salmon Group and lecturer in forestry and watershed management at HSU. What do you consider the three most important endorsements you have received to date in your campaign for county supervisor? The Humboldt County Central Democratic Committee, the Central Labor Council and most of the Humboldt County unions and three local tribes, including the Yurok, Karuk and Hoopa. What would your superpower be and how would you use it? The ability to manifest "affordable housing" and create jobs! Can you please provide a brief education history? McKinleyville High School, general studies and computer science at College of the Redwoods and a bachelor of science in business administration from Humboldt State University. Can you please provide a brief work history? Food Mart, LP at the Airport, Mck Carwash, Hometown Sportswear, Cher-Ae Heights Casino, Farmers Insurance. If your campaign had a theme song, what would it be? "Hall of Fame"
What would your superpower be and how would you use it? I would be Captain Fix it, and my superpower would be to eliminate all poverty, illegal drugs and their effects on individuals and families.